The First CRACKDOWN Is Being Given Away For Free On Xbox Live! With Crackdown 3 just a week or so away Microsoft has decided to once again offer up the first game of the franchise for free! 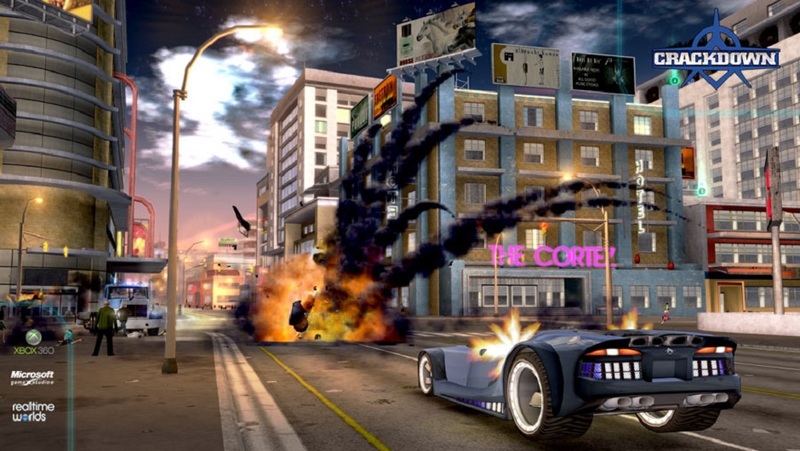 Crackdown released back in 2007 and introduced players to the Agency, an organization devoted to cleaning up the streets of the city from various gangs. Playing as one of the Agency’s super powered Agents it is your goal to take down the gangs. Also scattered throughout the world are numerous orbs players can collect to improve their skills and transform into the ultimate gang busting machine. Crackdown is now available for free on Xbox Live for both Xbox 360 players and Xbox One players as part of the Backwards Compatibility program. Crackdown has also been Xbox One X enhanced allowing for full 4K visuals for modern TV’s. If you might have missed out on this unique take on open world games now is a good time to try it out as it holds up remarkably well even today thanks to its stylized graphics and over the top gameplay. There is also a full co-op mode if you would like to take gangs down with a friend and trust me it was a blast! Are you excited for the upcoming release of Crackdown 3? let us know below! Grab AXIOM VERGE For Free On The Epic Store!